Enjoy exploring the game world during your journey? 2019 is shaping up to feature a number of exploration focused video games. Take a look at our most anticipated video games that will sport plenty of exploration opportunities below and make sure to bookmark this page as we’ll continue to update this list when new video games are announced. 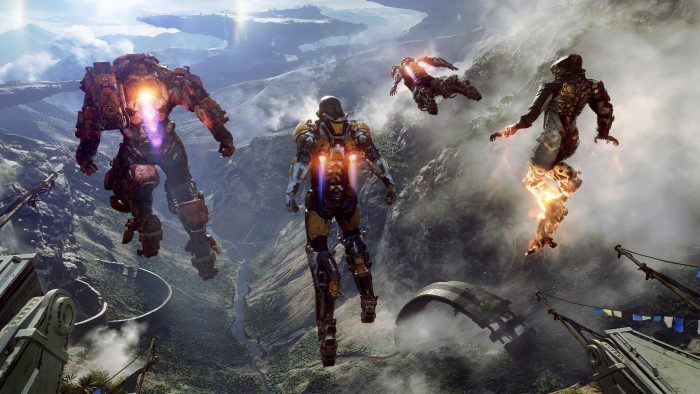 Originally slated to launch in 2018, BioWare’s next upcoming release Anthem is now set to launch in March 2019. The video game is set in the distant future where mankind has colonized other worlds, one of which will be the setting of the game narrative. Much of humanity is protected behind walls though, in order to explore and gather resources, a specialized group is known as Freelancers who are equipped with advanced suits that will aid in traversing. It’s with these suits known as Javelins that players can also take on any hostile enemies that may show up though we’re still waiting on new details to be unleashed during this year’s E3 expo. From the creators of Oxenfree comes their next video game release, Afterparty. The video game follows two young adults who have become deceased. With an urge to return back to normal life, the duo teams up and must out drink Satan. This is a bit of wacky story, but with Oxenfree being a cult following hit, we’re sure there will be plenty of interested in gamers picking up Afterparty when it launches sometime in 2019. Also, much like Oxenfree, we expect there to be an exploration aspect to the game. Oxenfree had players going to different areas of the world to solve the narrative journey and we’re hoping that element bleeds over to Afterparty. Mansion of Madness: Mother’s Embrace is a video game being developed by Luckyhammers and is based off a Lovecraft-inspired board game. Overall, the video game takes place in 1926 where a group of investigators finds themselves in a mansion tied to several mysteries. Players are tasked with exploring the mansion where more mysteries and horrors become unearthed. During explorations, the game will toss out several puzzles to solve as you fight against insanity and an untimely death. The Two World series is about to see its third installment. For those who may not be familiar with the game, which could be the case as Two World II launched all the way back in 2010, this is an action RPG but set in an open fantasy world, similar to The Elder Scrolls series. Players generally take on a character who will go through a series of quests and campaigns. In fact, the sequel, Two Worlds II, is still active today with players going through DLC releases. Being an open fantasy world, there is a bit of exploration to be had in the game and as such we can expect the same for the upcoming third installment. No details have been unveiled quite yet about Two Worlds III. The publishing company, TopWare Interactive, has stated that the installment will have a higher degree of detail, though we’ll hopefully receive new official announcements on the game soon. 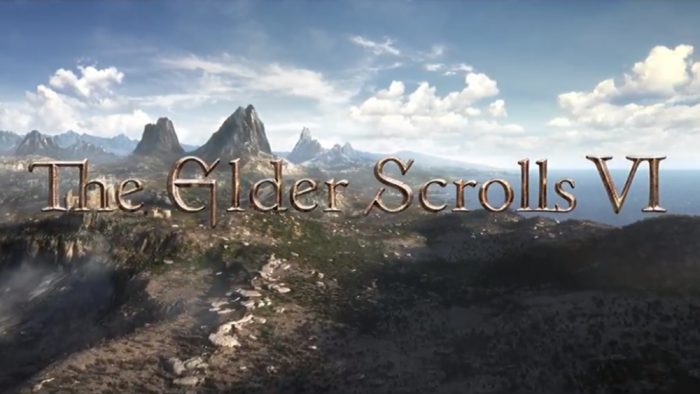 The Elder Scrolls V: Skyrim was a massive world for players to freely explore. Dwelling within the world was cities, factions, dungeons, and a slew of different enemies. We’re likely going to see that world size increase full of more hidden areas to locate. Unfortunately, we’re still waiting to see just where the developers are focusing on with the next installment hits the market. Note: Trailer and images are from Elex. Elex launched in 2017 and while the game didn’t receive the most outstanding reviews, there was still a clear cult following. The video game followed a protagonist with a mysterious past which is uncovered slowly throughout the game. Taking place in a distant future and on a unique planet, the game pins players against factions during a war over a substance known as Elex, which could grant individuals with magical abilities. We won’t dive into spoilers here but the game does leave room for a sequel and while we’re still kind of waiting on an official announcement, it’s essentially known that Elex 2 is in the works. The first title gave players the ability to explore the entire open world map from the start though with high-level enemies lurking around the world, exploring was something of a risk. We’re fully expecting more of an exploration focus to be placed on the upcoming sequel, though we’ll have to wait and see when the game is fully announced. The next main installment to the Kingdom Hearts franchise is coming in 2019. Kingdom Hearts III will once again put players back into the shoes of Sora as he embarks on a journey to defeat evil with the help of Disney characters. Much like the past installments, we anticipate there to be a bit of exploration within the worlds. Since it has been a few years since Kingdom Hearts II there is bound to be new worlds for players to wander within. Resident Evil 2 received a proper remake from developers Capcom. The Resident Evil franchise in general has been one of the few series to really help pave the way for the survival horror genre. Likewise, the Resident Evil franchise, especially during the early years of the series, players were forced into exploring the world in order to progress. This remake also looks incredibly stunning with the narrative still fully in-tact. However, there are some slight changes to help with controls. Rather than dealing with the “tank” control scheme that the game was originally known to have, Capcom has given it a more traditional third-person control feel. Likewise, the camera has been removed from stuck vantage points throughout the game to an over-the-should view. The Division will have a sequel releasing in 2019. Within The Division 2 players will be taking on a new task just under a year after the events of the first installment. While the main threats that flooded throughout the first game have come to an end, a new fight is up against the agents of The Division. As The United States of America is seeking to get back up on its feet, corrupt government officials have begun to step on the civilians. Strict rules and extreme punishments have started a new civil war as players fight to establish an order that is safe and just for all. We expect there to be a good amount of exploration to be had in this game from the gameplay footage showcased so far. Dying Light 2 was unveiled during E3 2018 where the game showcased a new city location in Europe to explore. Zombies are still very much a problematic threat within the game with combat still based around gunplay and melee. One of the new elements being tossed in this latest installment is that the game will feature choice-based mechanics. There will be a series of choices available for players to pick through with each decision there will be a consequence affecting gameplay and narrative. Players can expect the open world with vehicular combat as a result, there should be plenty of areas to explore and seek out. Unfortunately, the game was recently announced and as a result, few details have been released. We’ll continue to update this post when new information is released. We currently don’t have too many details regarding this upcoming third installment, but we do expect it to remain the same overall concept as the first two installments. Players will likely explore the map in search for collectibles, boss fights, and items in order to progress through the narrative. As mentioned, this game takes place after the events of Far Cry 5 so we expect returning players will have a feel of the location and surroundings but the development team may prove us wrong. Because the game is taking place years after the nuclear blast the landmasses have altered causing some locations to be inaccessible while other brand new locations with overgrowth taking control, we may end up having to explore a bit to find our way around. We’re certainly interested in taking up some old routes to check out past cities and town locations that may be completely altered or obliterated since we last saw them. We’re not sure just how big of a game The Outer Worlds is at the moment but with the trailer debut showing off space travel and seemingly new planets then there’s a good chance we’ll be exploring various parts of the galaxy. In the meantime, this is one game we’re closely keeping tabs on with hopes that it doesn’t get pushed back into 2020. This game seems to take cues of Hello Games No Man’s Sky title where players are constantly searching and exploring their surroundings. Players will need to determine if the planet is safe but also explore for different creatures and likely floral life that has been thriving within the world. Unfortunately, it’s not clear just how large of a scale the exploration aspect will be in the game but we should know more in the coming months.